Accidents can happen at any given time and this includes in the workplace. Unfortunately, a lot of injuries that occur within the office are due to negligent actions, which could have been corrected and avoided. When you are at work, your employer has a legal duty and responsibility for your health and safety. If you have sustained injury in an accident that you believe was not your fault, you may be entitled to claim for compensation. Slips, trips, and falls accounts for over one third of all work-related compensation claims. 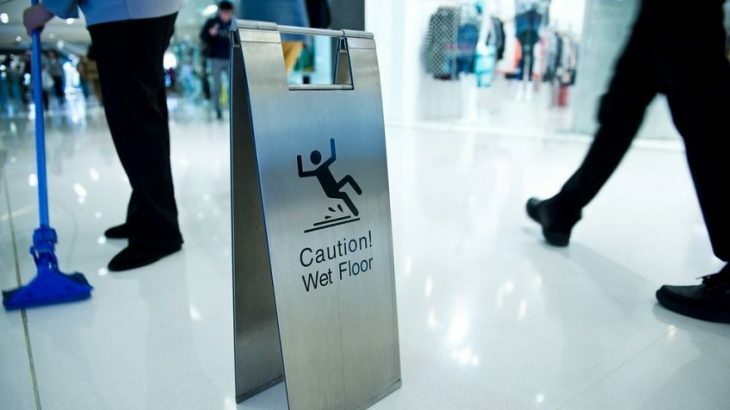 Pathways in the workplace should always be kept clean and clear, if you find yourself slipping on a wet floor, tripping over loose wires or falling over clutter obstructing pathways or workspaces, you may be able to make a personal injury claim. At the time, you might think you are only suffering from embarrassment. But, the truth is soft tissue injuries can have a delayed reaction and only reveal pain and discomfort hours or even days after the incident. Even worse, your accident can lead to fractures or broken bones, which will build up costly medical bills that you should not have to pay. When you don’t see something coming, the impact when it hits you is always worse. 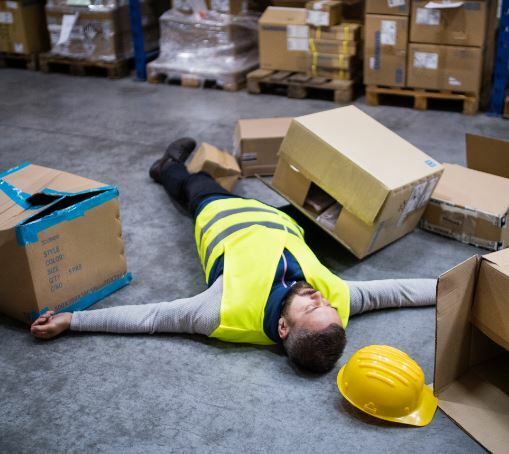 Sustaining injury from falling objects is a common problem in the construction industry, but it can also happen in an office environment from negligent storage or poor organisation. Sustaining abrasions or bruises can be painful and uncomfortable and if you have suffered from a concussion after being struck by an item, it can cause subsequent headaches and visual disturbances. These injuries should not happen in a workplace. Activities that involve lifting, carrying and moving items, account for another third of work-related accidents. Most injuries are musculoskeletal and take the form of muscle strains and pulled ligaments. It can be easy to twist your neck or pull a back muscle from heavy and constant lifting, which can be felt for weeks or even months afterwards. You should always be allowed sufficient rest periods to avoid this overexertion. Pain and discomfort can also develop from repetitive strain, which is becoming increasingly common in office environments. Constantly doing the same tasks over and over again can lead to long term, negative problems for your muscles and joints, which should be taken more seriously by employers. Anyone can fall victim to an accident at work that is outwith his or her control. 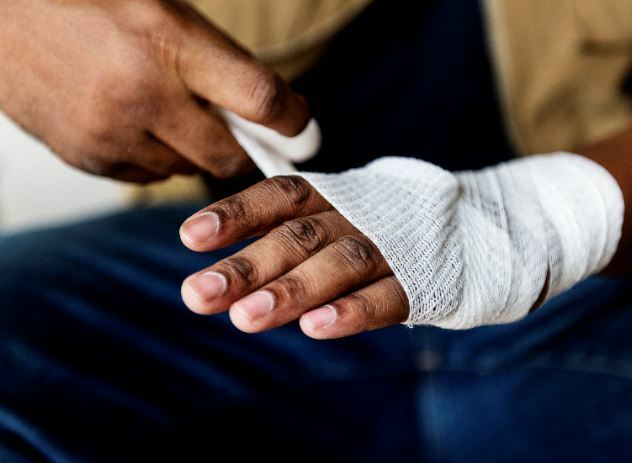 If you have suffered a minor or major injury in the workplace in the last two years, which was not your fault, you may be entitled to compensation to cover your medical expenses, loss of earning and pain and suffering. By Calling McSweeney Solicitors today, you can receive help from specialist personal injury solicitors with extensive experience in handling all types of work-related incidents. We can advise you on what steps you can take and whether you are entitled to make a compensation claim for your accident at work. No Win, No Fee Solicitors Dublin – Is There A Catch? If you have been injured in Ireland and it wasn’t your fault, then the chances are you will have little difficulty getting a solicitor to agree to take on your case on a no win, no fee (sometimes also called no foal, no fee) basis. The fact of the matter is, even though solicitors are prohibited from broadcasting this service to prospective clients by solicitor advertising regulations, that the majority of personal injury claims* in Ireland are taken on by solicitors on a no-win no-fee basis. Importantly solicitors are not prohibited from taking on cases on a no win no fee basis but merely prevented from advertising that fact. 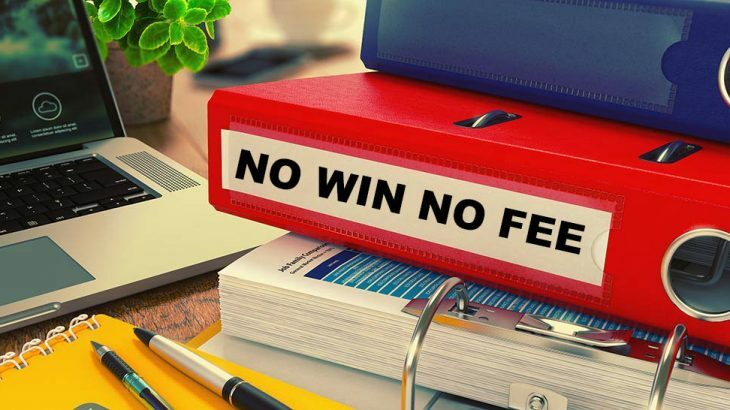 No-Win, No-Fee means that if your case is unsuccessful your solicitor will not charge you any fees. If a consulting engineer is required as an expert witness to prepare a report on your accident they also usually agree to operate on a no-win no-fee basis. What If I Lose My Case Could I Be Liable For The Other Side’s Legal Costs? There is absolutely no financial or costs bringing your claim through the InjuriesBoard.ie/PIAB process, which is where all personal injury cases must be brought before they can go to court. This is because Board has no power to award costs against a claimant. It should be borne in mind that only a minority of personal injury cases ever end up in the court process, and of the cases that do only a very small fraction of them ever end up going to hearing before a judge. But you really should not let the possible risks associated bringing court proceedings discourage you unduly because if you have a valid claim and do not give false or misleading evidence about your injuries your risk of losing your case is very low. In all cases, you will be fully advised by us and your barrister of the prospects of success and the risks as your case progresses. In addition, in appropriate cases we can help arrange After the Event (ATE) or legal expense insurance which eliminates the risk to you as this covers the other side’s legal costs if you lose your case. Usually the premium for ATE insurance is only paid on the successful conclusion of a case and is not payable if you lose. If My Personal Injury Claim Is Successful Do You Charge A Percentage Or A Success Fee? Solicitors are prohibited from charging a percentage in contentious work such as personal injury cases and we never charge a success fee. If your case settles at an early stage before the InjuriesBoard.ie/PIAB process or ‘on the steps’ of court, we always try and maximise the amount the other side contributes towards your legal costs. In many cases the other side covers your entire legal costs but sometimes you may be asked to cover any shortfall. How Do I Know If I Can Bring A No Win No Fee Personal Injury Claim? You should discuss your case with a personal injury solicitor. We would be more than happy to provide no obligation legal advice so please feel free to contact us today to pursue your legal right to make a claim.